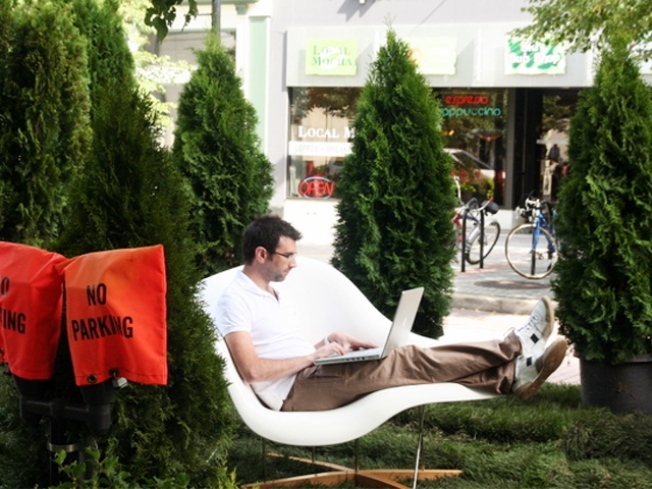 Park it like you mean it on Park(ing) Day NYC. Haven’t you ever dreamed of having your own public park? Here in New York, there were nearly 60 pop-up parks on Park(ing) Day 2008; this year, you can help grow that number by signing up for a spot yourself at Transportation Alternatives’ parkingdaynyc.org. May we suggest croquet? For an idea of how it all goes down, check out this video by Streetfilms.